A modern source of fun and innovative inspiration for any textile artist, built on the everyday world around you. 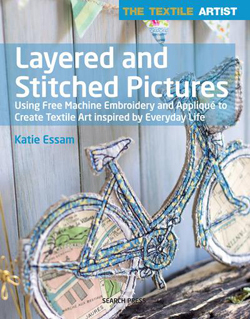 Katie Essam's fresh, modern style uses unique combinations of traditional techniques, and in this book she shows you how to create beautiful textile art inspired by the beauty in everyday objects. Stretch your imagination and be inspired by Katie's fun, innovative ideas; learn how to draw inspiration from the animals, birds, gardens, beach huts and scenes that surround you; and use that inspiration as the fuel you need to create gorgeous stitched pictures.